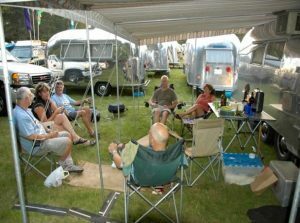 Wagon Masters, Rallies, and RV Groups! Rallies and camping groups need look no further than Cypress Campground & RV Park, in the heart of Central Florida, close to all the major Orlando attractions and only 2.3 miles from LEGOLAND Florida and LEGOLAND Florida Waterpark. We invite your camping group to hold a rally with us. Cypress Campground is a highly-rated, all age campground and RV Park in Winter Haven, FL and has all the amenities your camping group is looking for in your next RV event and rally. Have your RV Rally Group Here Today! Recreation hall with full kitchen facilities perfect for your rally gatherings. Separate smaller lounge available for your rally get-togethers. Full amenities (heated pool, shuffleboard, bocce, horseshoes, basketball, mini-golf (no extra charge), giant chess/checkers, and much more. The recently upgraded property has 191 sites including 120 pull-through accommodating groups of all sizes. Wi-Fi (recently upgraded with 7 nodes throughout park) and cable is included. Central location to take advantage of numerous Orlando area day trip excursions. Area lakes, restaurants, golf courses, retail shopping and Super Wal-Mart is accessible by a private gate from our campground and rv park. Full hook up with 30/50 amp service. On-site park models for rental for those without an RV or your extra Rally guests. To find out about our Rally Group Specials, call us at (863) 324-7400 or email us at manager@cypresscampground.com. We look forward to working with your Rally Wagon Master to book the next Rally Event for your camping group.